Some of the signage in the East Clare area. Photograph by John Kelly. THE theft of village signage has been described as “epidemic” by local Councillor Pat Hayes, who highlighted that signs have been stolen in four villages in East Clare. Councillor Hayes said Feakle, Caher, Flagmount and Killanena have had signage taken. He said some thefts have occurred in recent weeks, while others were some time ago. He said it is not the directional signage, which is usually the common problem, but in this case it is the larger signs for the villages themselves. 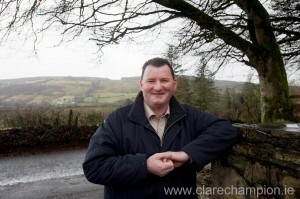 Councillor Pat Hayes concerned over the theft of village signage in east Clare. “It seems to be specific to this side of the county. Directional signposts are also missing. The GAA one in Caher was taken down and a couple of business ones were taken as well. It seems to be an epidemic for the last while. I would very much be appealing to the public out there. There might be huge value in those signs but it is the communities that put them up and maintain them. They are part of the tradition of the community. The original signs for Caher are now gone. Two are gone out of Flagmount. The ones out of Feakle are gone too,” he said. There is stone signage, which displays the villages’ names, but he said “that doesn’t make up for the fact there is a lot of signage being stolen”. He has notified the council and the gardaí about the problem and said a further concern is the theft of stop and yield signs, which he said is also happening. “A number of the stop and yield signs are taken from junctions on and off and that can be very risky for people coming to the area and they don’t realise there is no stop or yield sign and drive out of a junction. “I’ve reported two or three of them already. The council tell me they are constantly putting up new ones and it’s costing a lot,” Councillor Hayes continued. He explained that the signs are being cut off and, in some cases, great efforts are being made to steal them. “I know the one in Flagmount had been put into the wall to ensure the structure was secure and it was taken out of it,” he said. He called for those carrying out these acts to stop and urged for vigilance to this type of crime. 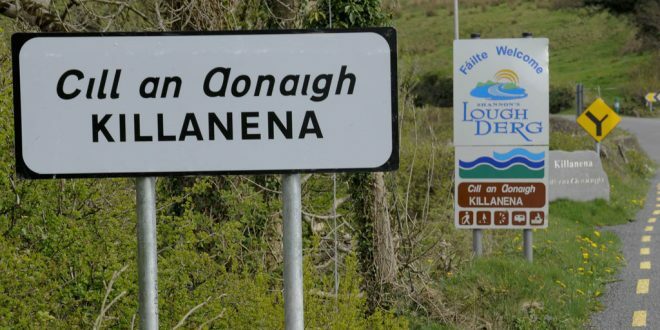 Responding to the concerns raised by Councillor Hayes, Clare County Council’s senior engineer Tom Tiernan said the local authority was made aware of the theft of a number of permanent signs in the Feakle and Killanena area this week. “These incidents are being reported to An Garda Síochána. The sourcing of replacement signage is a drain on council resources from a personnel and expense perspective. In addition, there has been a number of theft incidents involving roadworks and traffic management signage, which is of particular concern to the council, as it exposes road users to the hazards of a live road construction site,” Mr Tiernan said.